When we talk about celebrity fashion Daniel Craig stands among top most stylish celebrities. This celebrity Bomber jacket is inspired by Daniel Craig from the movie Specter James Bond. This stylish jacket is made of real leather with inner viscose lining. 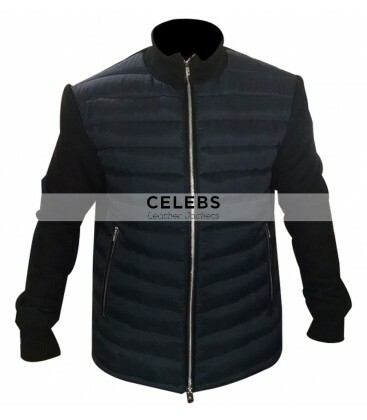 The jacket featuring erect fitted round collar, front branded YKK zip closure, with knitted cuffs and two zipper waistline pockets. This bomber jacket is a perfect pick for you daily and formal look. Visit here Celebs Leather Jackets. Car boot sale ad details Spectre James Bond (Daniel Craig) Jacket for sale in London. Spectre James Bond (Daniel Craig) Jacket available on car boot sale in London. More Coats & parkas for sale in London and more second hand sale ads for free on 2lazy2boot - London car boot fairs - 41650.